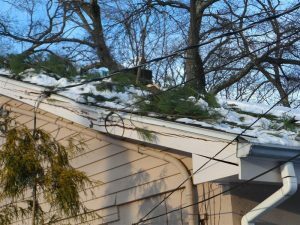 In Federal Way, Washington, weather can take its toll on your roof! Eventually, all roofing requires maintenance, whether it is cleaning or repair, replacing a few shingles, or an entire section. and Keeping up with regular maintenance and repairs can lengthen the life of your roof and save you money in the long run. It’s especially important in Washington, where homes may be exposed to a lot of snow and rain throughout the year. However, some signs of roof damage are more difficult to notice than others. You may not look too closely at your roof every day, and can miss signs of deterioration. Here, we’ll answer a few questions to give you a better idea of how to know your roof and recognize signs that you may need roof repair. When Should I Check My Roof for Roof Damage? Different sources may give you different answers, but approximately twice a year is a good bet. This is the recommendation made by the National Roofing Contractors Association (NRCA), and they further recommend inspecting your roof in the fall and the spring — before and after the winter. In the fall, it’s important inspect your roof to make sure your roof is ready for a Washington winter, and in the spring after the snow thaws, it’s good to check again and see how your roof held up. If there is a decent amount of snowfall in winter, and icicles form on your roof, an ice dam may form. This can cause severe damage and leaks as the snow melts, so you will want to make sure your home has not suffered from ice dam damage after all the snow melts. What Signs of Roof Damage Should I Look For Inside my Home? What About the Exterior Roof? The picture below shows rotting and breaking wood underneath the roof. Be sure to check this area on your home as well! 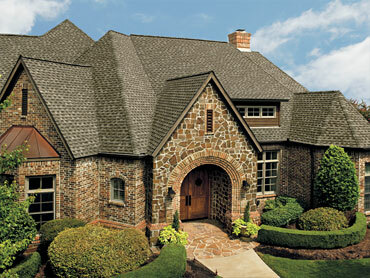 If you think your roof may need repair in Washington, call Chase Construction Northwest at 253-445-8950! Our professional team can provide you with an assessment of what your roof needs and top quality service. This article was provided by Neponset Valley Construction, the leading MA roofer. Your roof gets more abuse than any other part of your home, making regular inspections important. Keeping your roof well maintained is important. Thank you for sharing your blog post.